2012. By Pamela Hatchfield (editor), Barbara Appelbaum, Deborah Bede, Gabrielle Beentjes, James Janowski, Jane E. Klinger, Frank Matero, Salvador Munoz Vinos, William Wei, Z. Benders, E. Domela Nieuwenhuis, George Wheeler, and Nancie Ravenel. 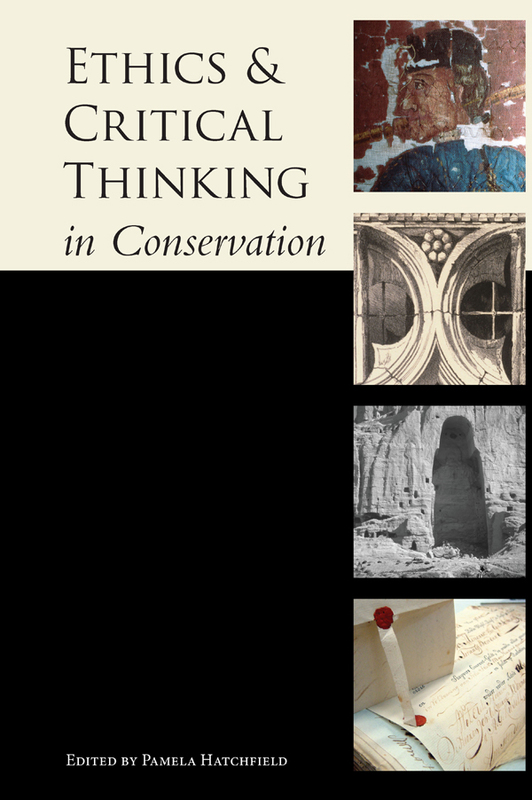 This collection of essays brings to focus a moment in the evolution of the complex decision making processes required when conservators consider the treatment of cultural heritage materials. The papers presented here are drawn from two consecutive years of presentations at the American Institute for Conservation of Historic and Artistic Works (AIC) Annual Meeting General Sessions. These were, in 2010, The Conservation Continuum: Examining the Past, Envisioning the Future, and in 2011, Ethos Logos Pathos: Ethical Principles and Critical Thinking in Conservation. This book is available in two editions: full-color hardcover and black and white paperback. The hardcover features nearly 50 full-color figures and illustrations throughout the text. Read more at www.conservation-us.org/resources/our-publications/special-projects/ethics-and-critical-thinking-in-conservation. Info: 6" x 9", 156 pages.